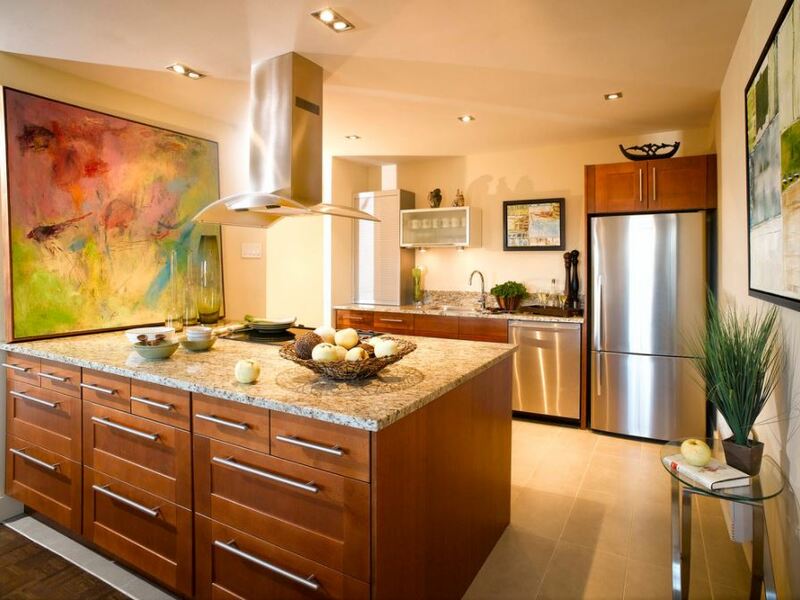 Here are some contemporary kitchen design images for you guys. They are smart, stylish and totally chic. 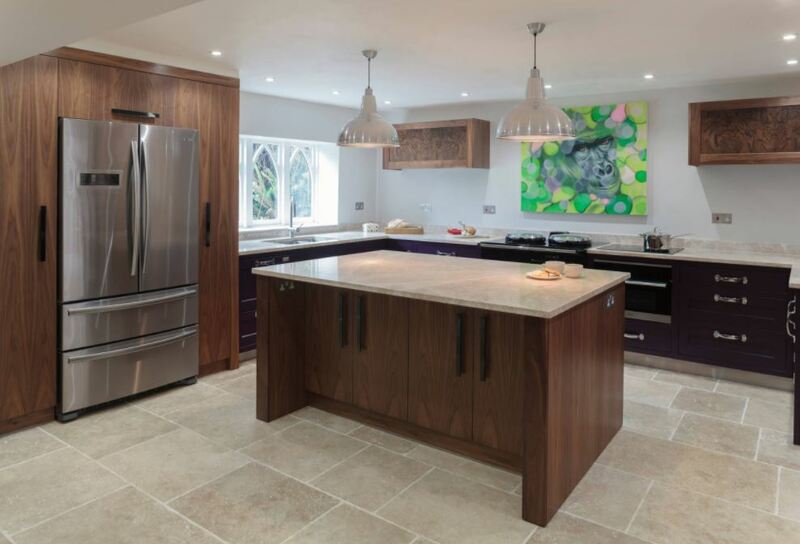 An ideal kitchen design for a modern busy household! 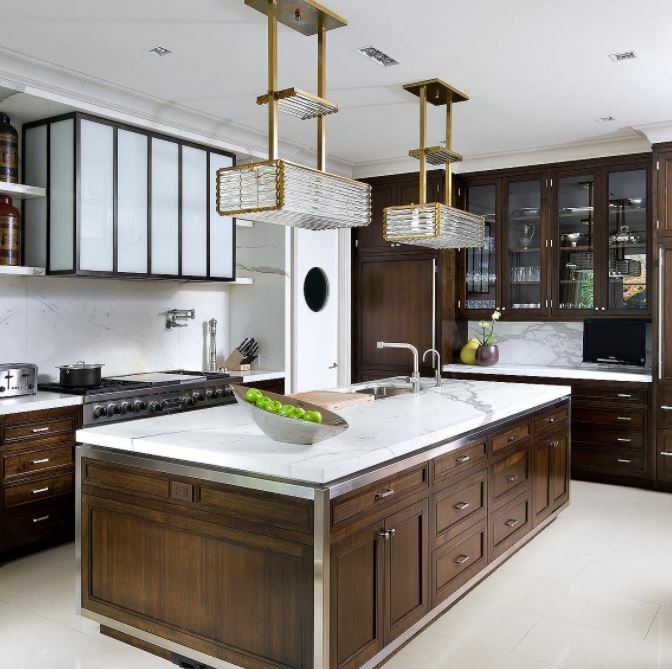 These contemporary kitchens are systematically designed for an uninterrupted work flow. They are highly efficient and functional. Modular pieces are put together to create a gorgeous kitchen with lots of storage space and build-in space for appliances. 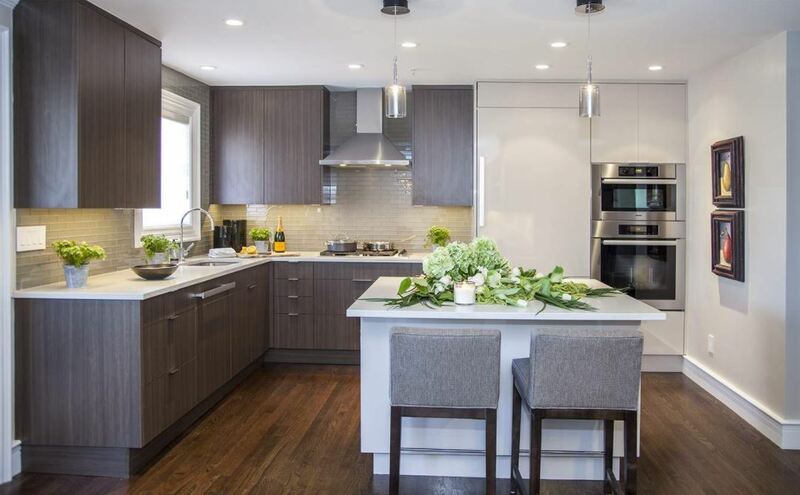 Think out-of-the-box to get this streamlined kitchen design. It is aesthetically appealing yet easy to get access to. Skip adding unnecessary upper cabinets. Go for flip-flop doors for the ones on the side. 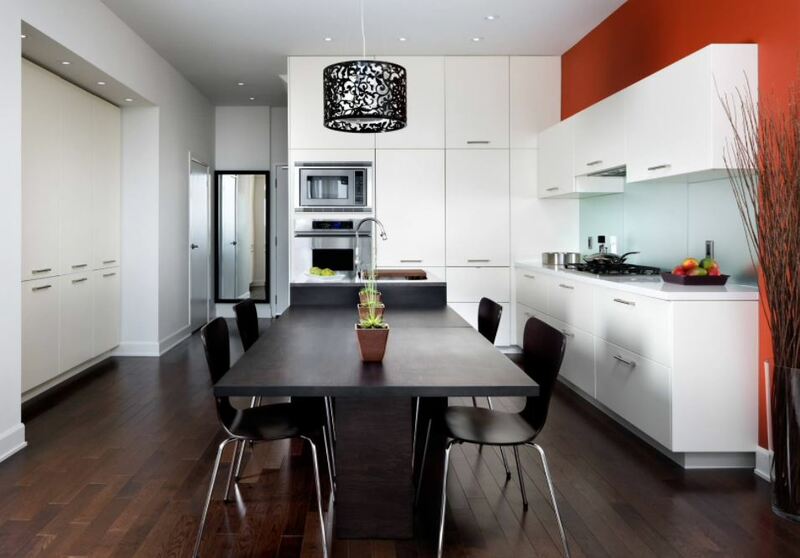 You can opt for this simple kitchen with a contrast finish. Go for a combination of wood and stone in dark and light shades. Here is a bright fun kitchen design. This small kitchen has warm color tones and is ideal for apartments and tiny flats that are tight on space. Seems like a very cozy set-up to me. 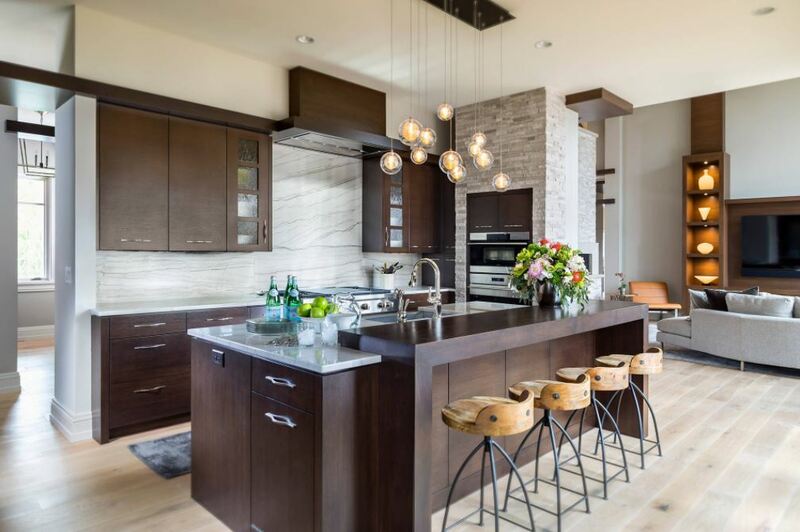 Love the green backsplash and modern luminaries. If you are looking for a more spacious kitchen then chuck the chairs and get some bar stools instead. How about this lovely white kitchen with red accent wall? Add a nice breakfast nook in the center. The black pendant light adds to its beauty. 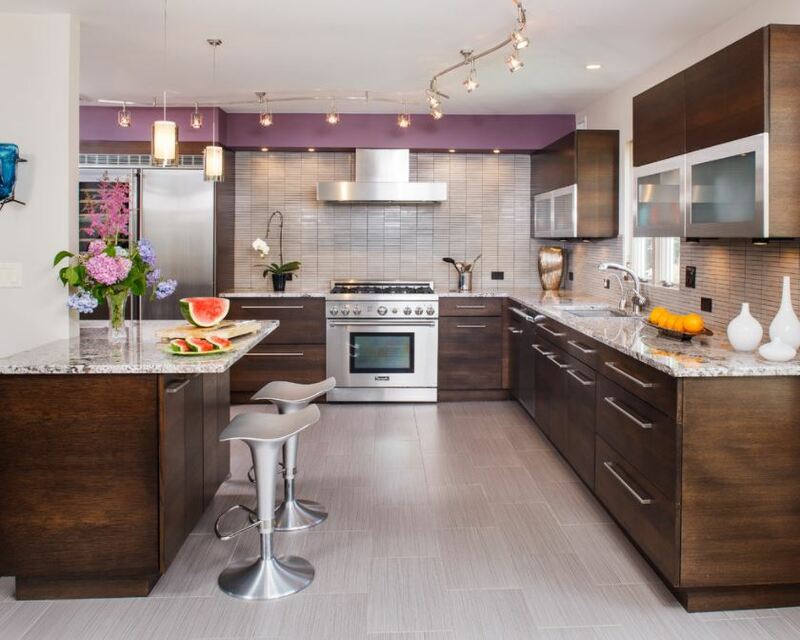 Add a bit of color to your contemporary kitchen design. 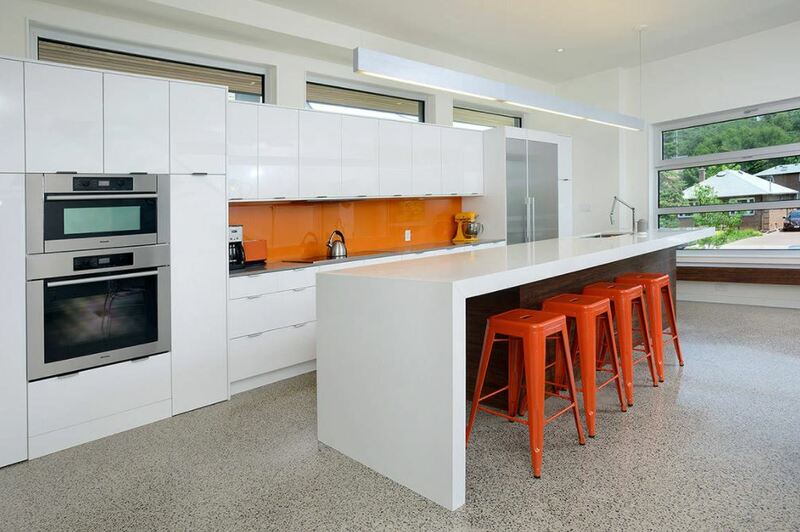 Go for an orange glass backsplash and bar stools. The floor and the straight lined cabinets look absolutely gorgeous. 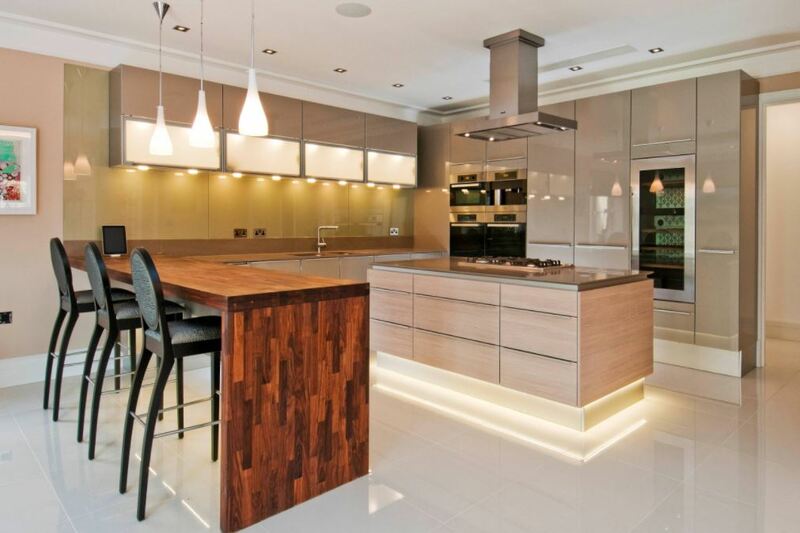 What a stunning kitchen design image! 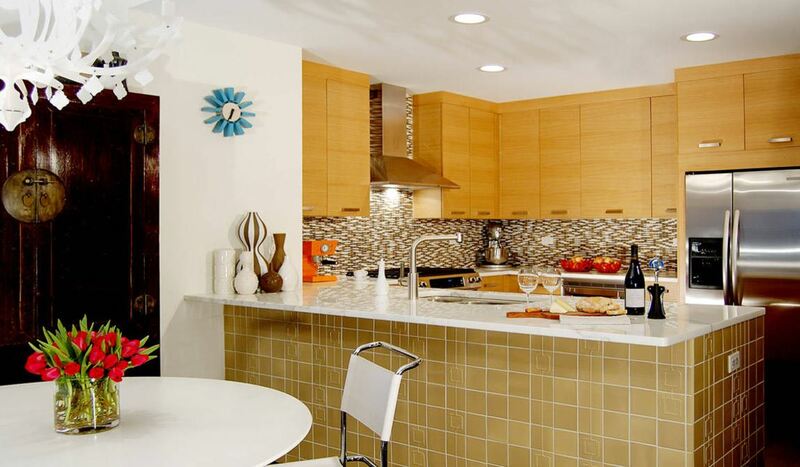 It has some lovely features like the stone wall, unique backsplash tile and colorful pendant lights. Check out this awesome kitchen with impeccable dark cabinetry set on white oak floor. I like the raised bar with those perfect looking stools. This is a very neat kitchen design image. Dedicate one corner of your kitchen to fridge, oven and microwave. The island provides a nice place to sit and work. I love the shimmer and shine that this kitchen offers. 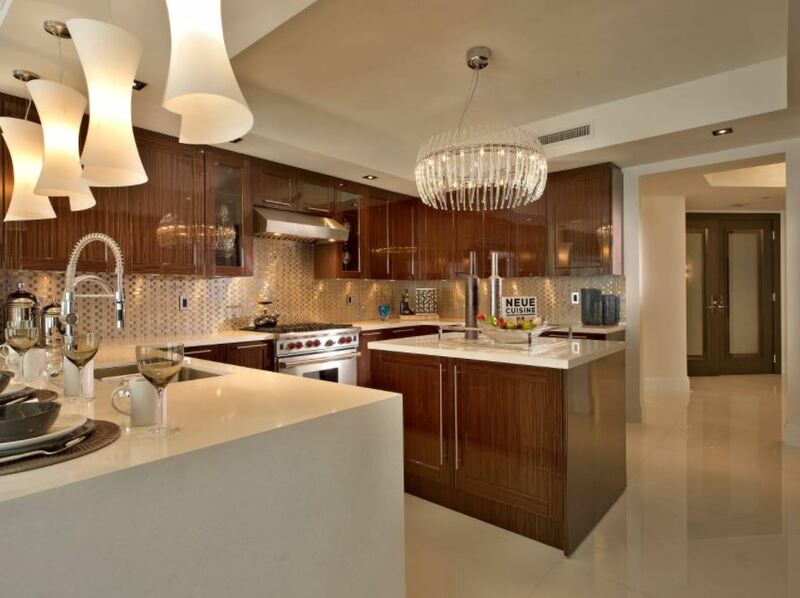 This includes the metal tiles backsplash, cabinets with poly finish, the light fixtures and white quartz countertop. Here is an awesome open kitchen plan. It extends into the dining, living room and goes up to the beautiful garden area. You can see it through the glass doors. Take a look at this great looking kitchen design idea. It is spacious and has lots of storage space. The kitchen is well-lit and ventilated. 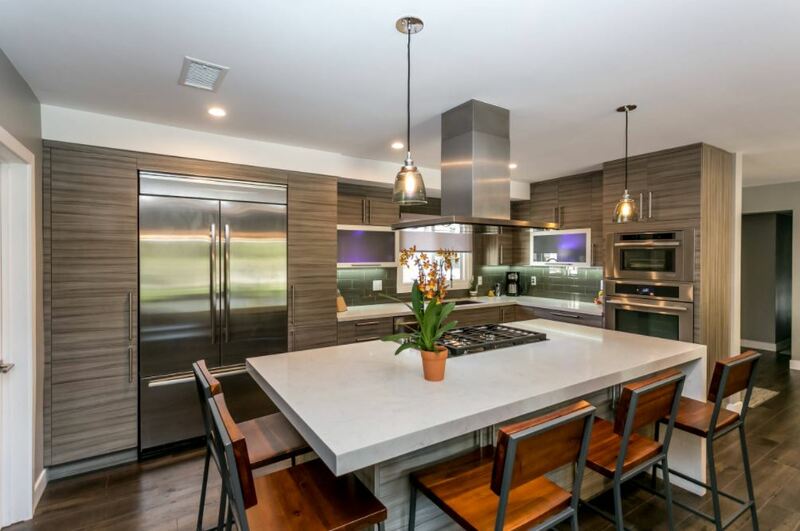 Check out this white kitchen with dark wood cabinetry and marble countertop. I love the light fixtures; they look quite exotic. This one has the best looking cabinets with equally interesting pulls. Love the idea of having plants and painting in your kitchen. 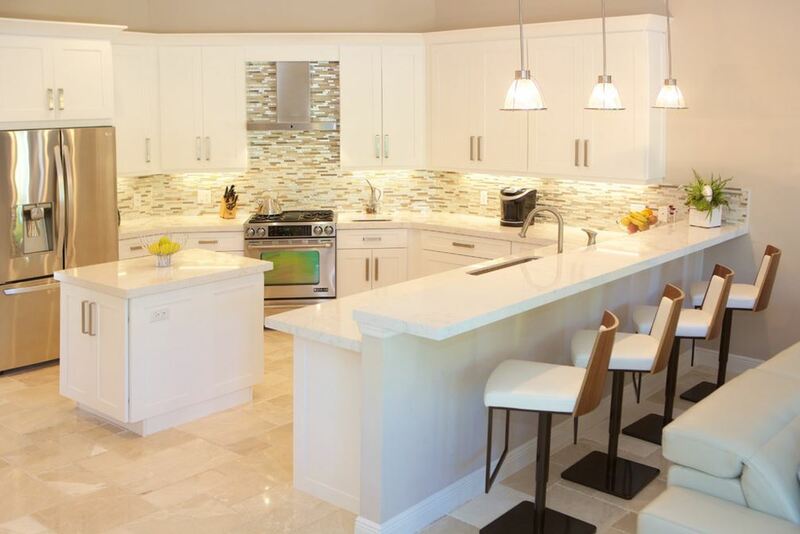 Take your pick on this all white kitchen design. The under cabinet lights brighten up the whole set-up. I love the mosaic backsplash tiles. This entry was posted in Kitchen, Kitchen Designs and tagged Contemporary Kitchen Design, Contemporary Kitchen Design Images, Contemporary Kitchen Designs, Contemporary Kitchen Ideas, Indian Kitchen Design, Indian Style Kitchen Design, Kitchen, Kitchen Design, Kitchen Design for Small Space, Kitchen Design Gallery, Kitchen Design Images, Kitchen Design Images Small Kitchens, Kitchen Design Pictures, Kitchen Designs, Kitchen Designs Layouts, Kitchen Designs Photo Gallery, Kitchen Tiles Design, Simple Kitchen Design, Small Kitchen Design Images by Homemakeover. Bookmark the permalink.